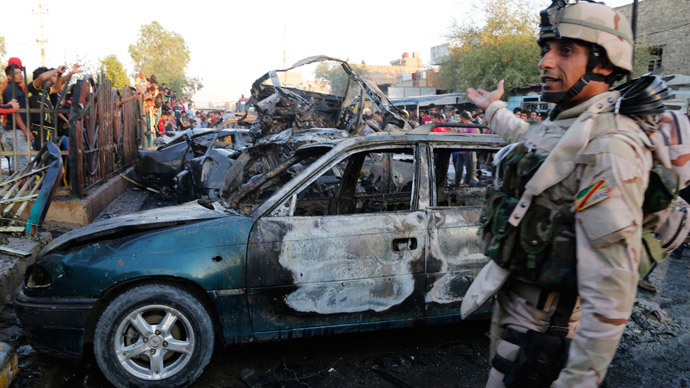 Iraq saw one of the bloodiest days Saturday with a string of car bombings killing an estimated total of 60 in Baghdad, while a further 59 died in the country’s north. 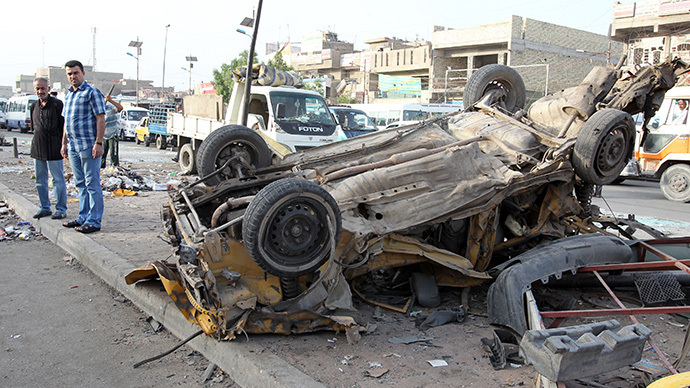 Several fatalities were also reported after militants took students hostage in Ramadi. 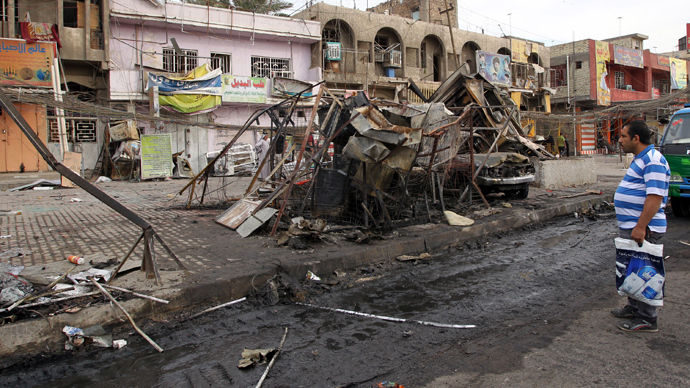 In Baghdad, the most severe of the attacks took place in Bayaa, the capital’s southwestern neighborhood. There alone 23 people were killed – the majority of whom had been young and engaged in a game of billiards. 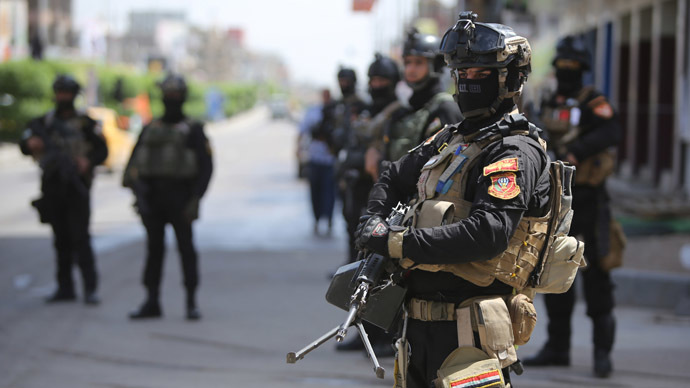 Clashes in the northern city of Mosul took lives of 21 police and 38 militants as the fighting spilled over into the second day, an officer and mortuary employee told AFP. On Saturday, armed militants also took over a university in Ramadi, located in the western province of Anbar, capturing male and female staff and students. 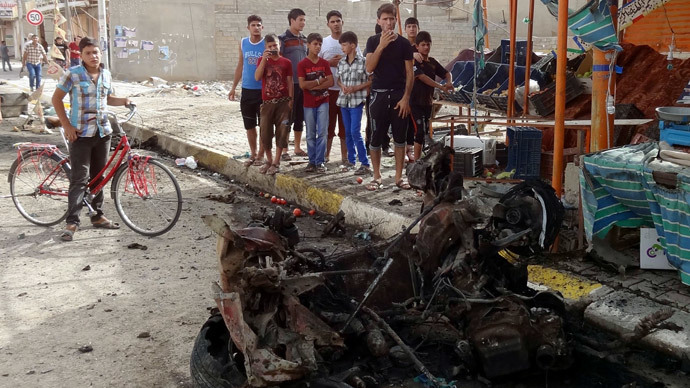 The gunmen fought their way through the Anbar University guards, wounding some, and blowing up a bridge. Security forces “liberated all of the male and female student hostages from the dormitories in Anbar University” and regained control of checkpoints at its entrances several hours into the assault, Deputy Interior Minister Adnan Al Assadi stated in an email to AFP. Two people died – a student and a policeman according to hospital sources. However, targeting the university could also have marked a change in methods. 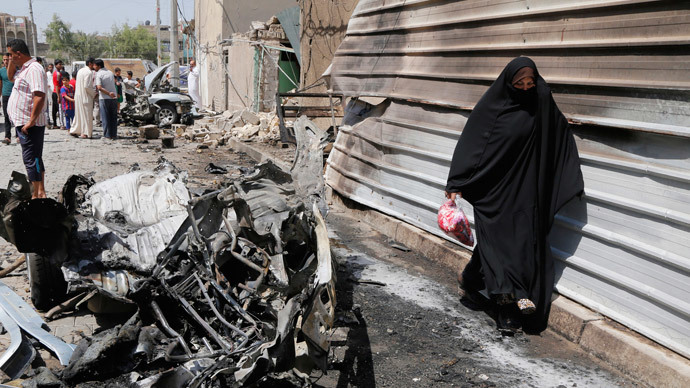 Almost 800 people were reported to have been killed in Iraqi violence last month, two-thirds of the victims being civilians. While the bloodshed remains below the levels seen in 2006 and 2007, last year was Iraq's deadliest since violence began to ease in 2008. In 2013, 8,868 people were killed in terrorist attacks or other acts of violence, according to UN statistics.